We had left the car in Cape Town and flown to Kenya for our friend’s wedding and Masai Mara trip. After four days of festivities with a few hundred Kenyans, we were ready for the wide open plains of the Mara. We had been a little sceptical in the past of all-inclusive camps. 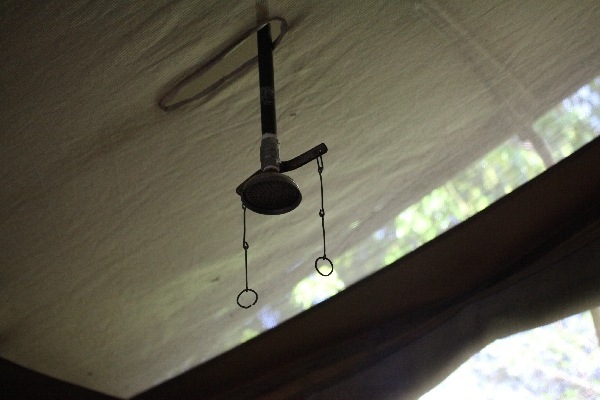 The tents we had seen in many were often just a larger version of our own roof tent, and the meals no better than the Thai green curries I had occasionally been whipping up. 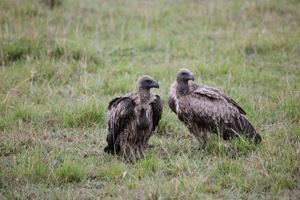 We were looking forward to seeing what they were really like. 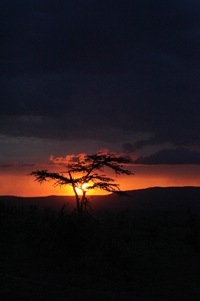 Our guides continually amazed us. 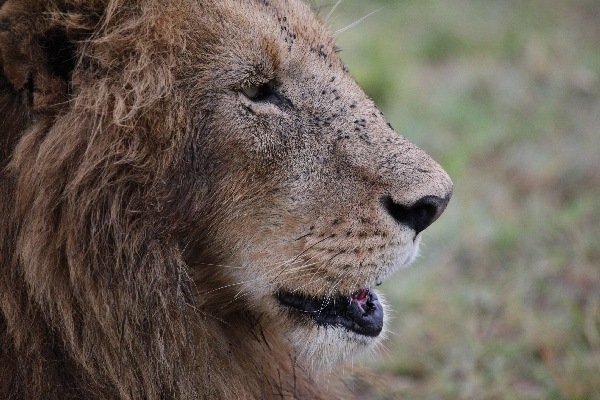 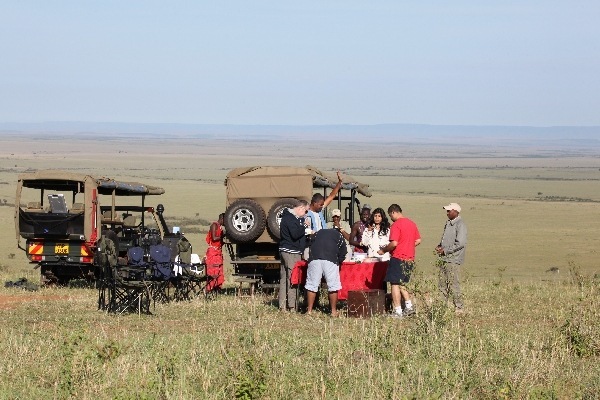 Their ability to simultaneously look for signs of lions in the bush, comment on the lively sounds of a nearby bird, and drive across the rough Mara terrain had us all contemplating the possibility of doing a field guide course. There was so much to learn about the bush, the animal behaviour and the beautiful birds. 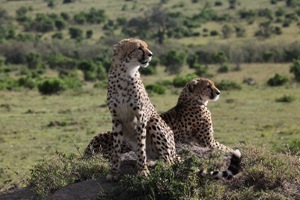 One guide saw a cheetah sitting on a rock 1 km away and it was still there when we drove up to it! 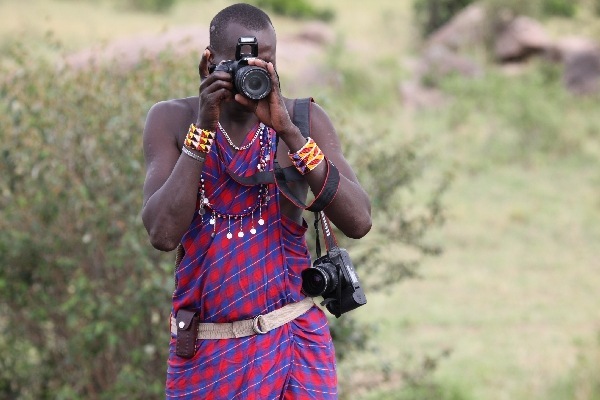 “How can I train my eyes to look for animals in the distance,” I asked. 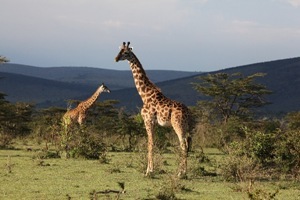 “You must know the terrain and then look for unusual shapes and movement,” Dowdy, our guide replied. 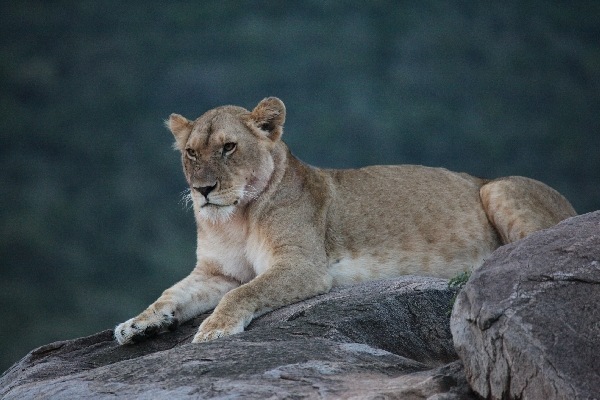 “See the rocks here? 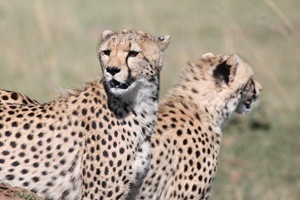 They all have rounded tops. 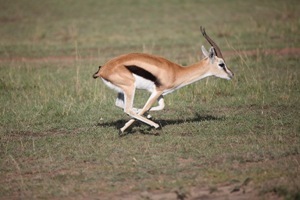 That one is more pointed. 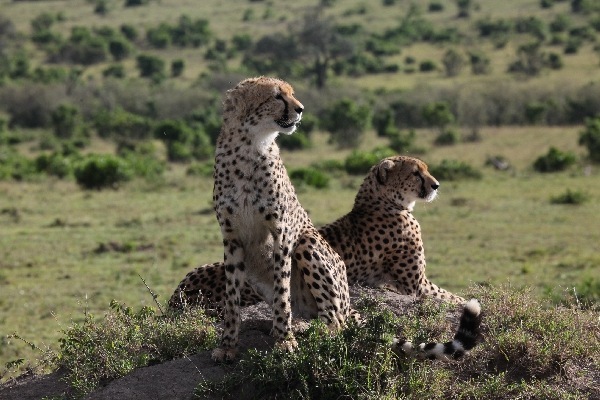 And cheetahs like sitting on these rocks to look around.” Easier said than done. 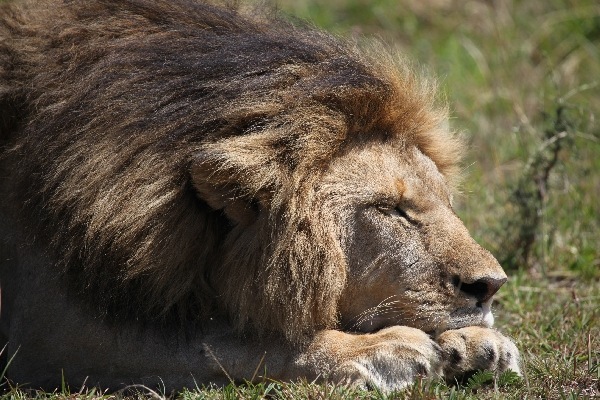 Enough words for now. 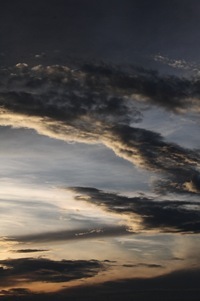 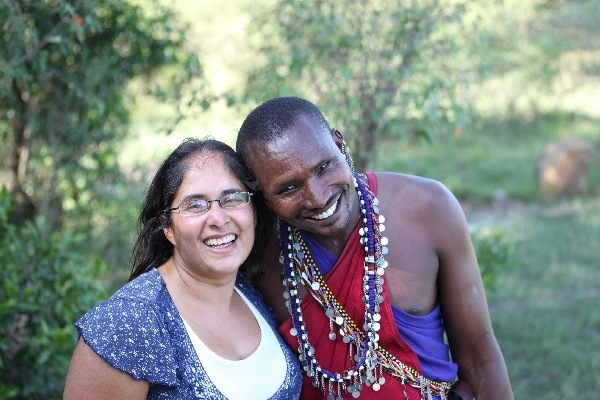 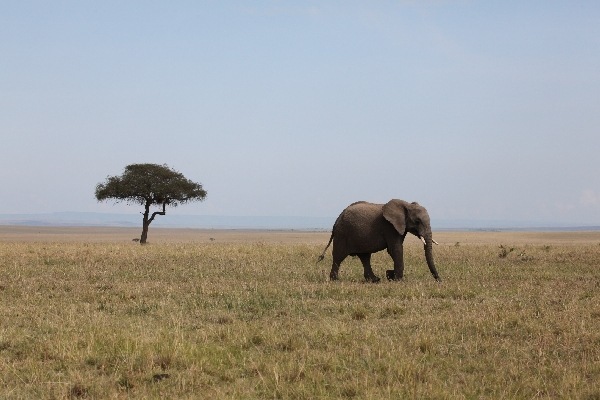 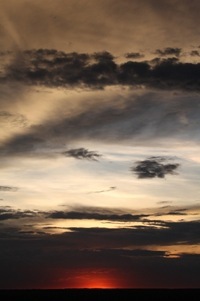 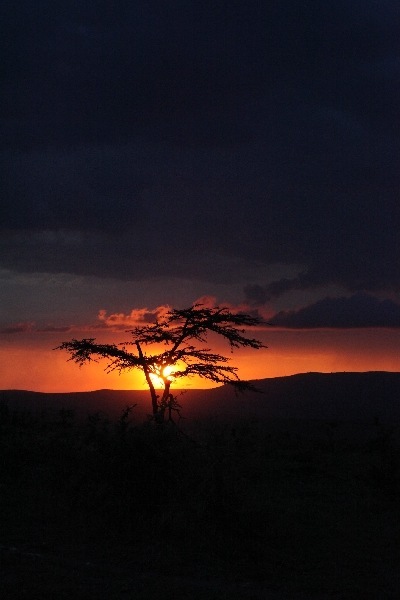 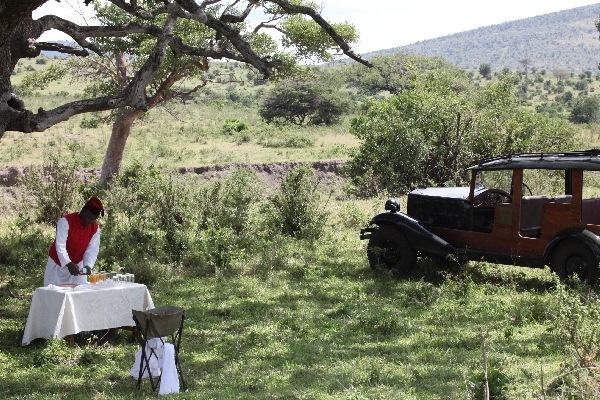 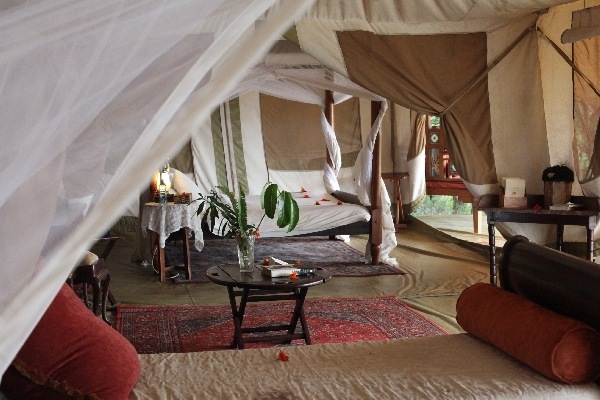 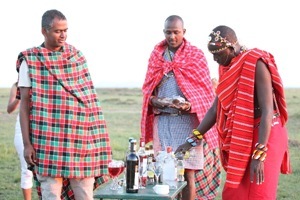 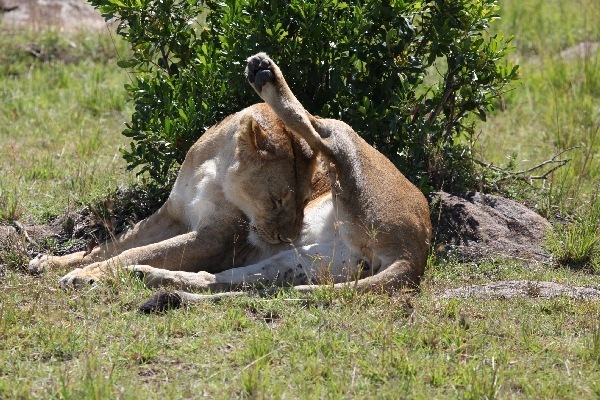 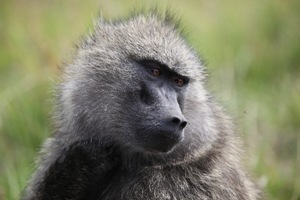 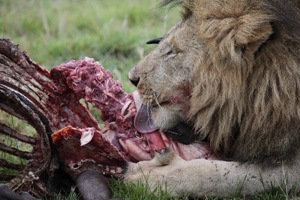 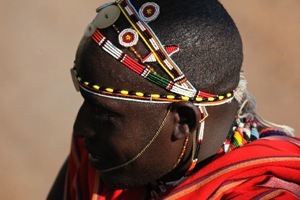 Time for some photos……..
We had beautiful breakfasts in the bush and G&Ts made by the Masai guides/barmen. 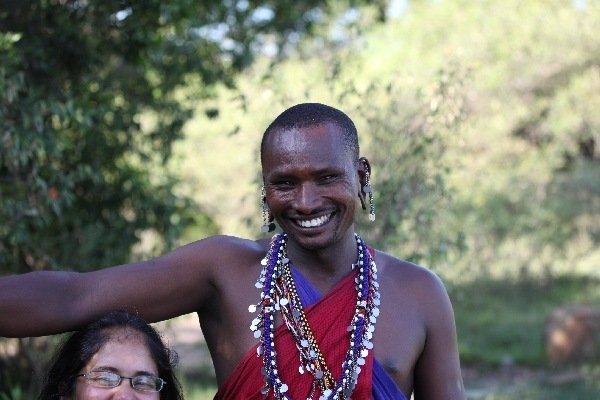 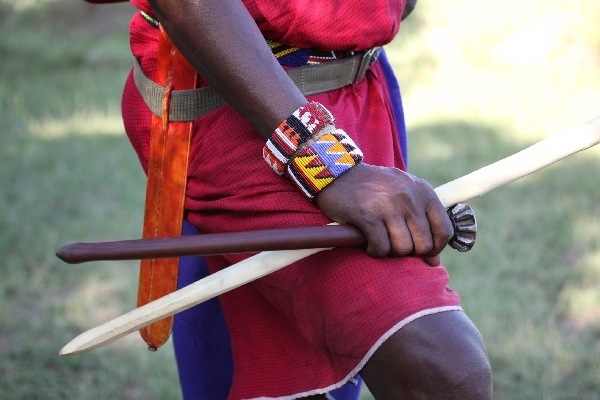 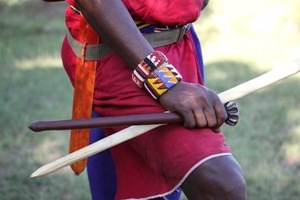 (They weren’t really all Masai as I found out, but shhh…. don’t let the other tourists know!) 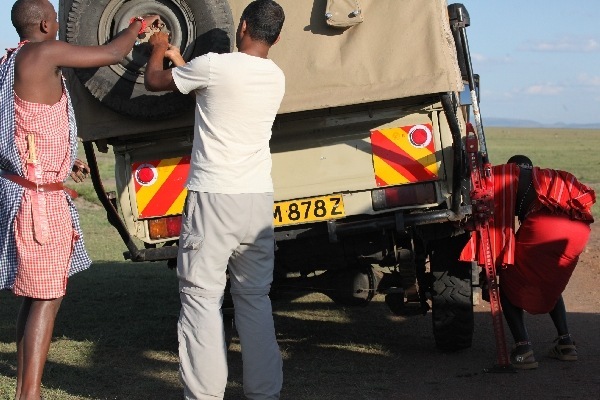 But even the most luxurious of 4x4s can break down, and at the most inconvenient time. 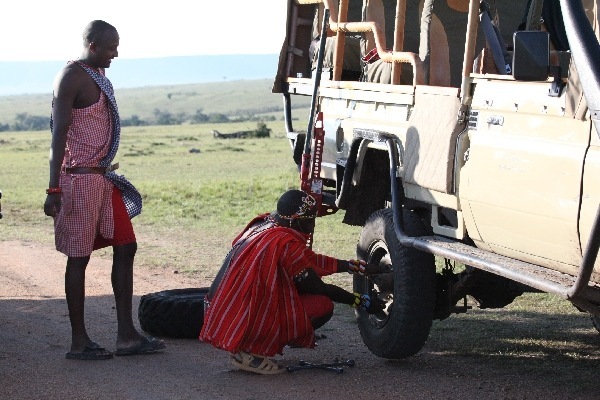 Ven helped our Masai guides with a bit of bush mechanics whilst the rest of us kept a look out for the lions we had been looking for, hoping we wouldn’t see them just yet! 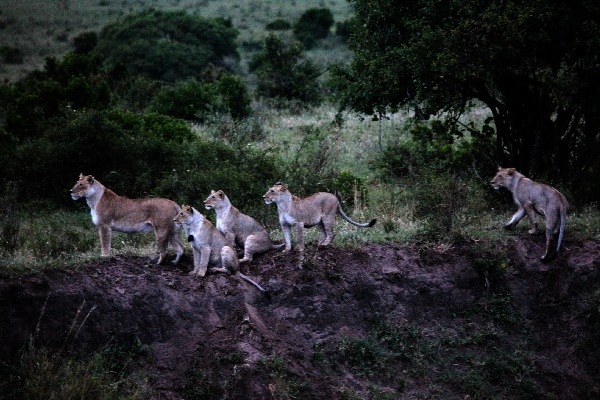 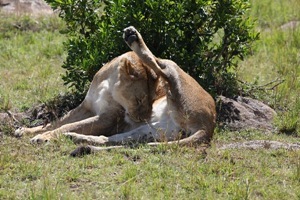 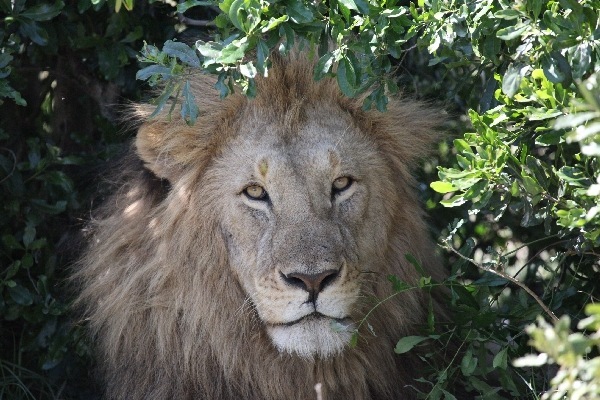 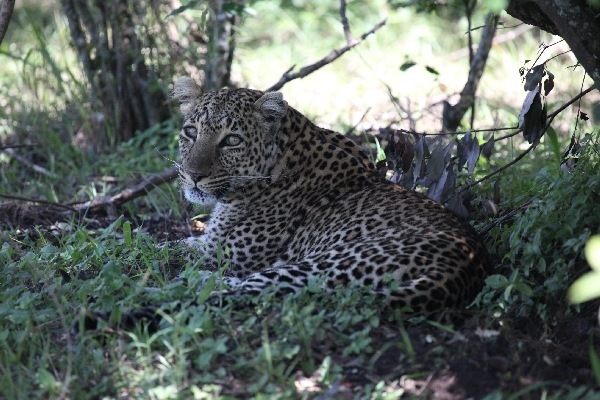 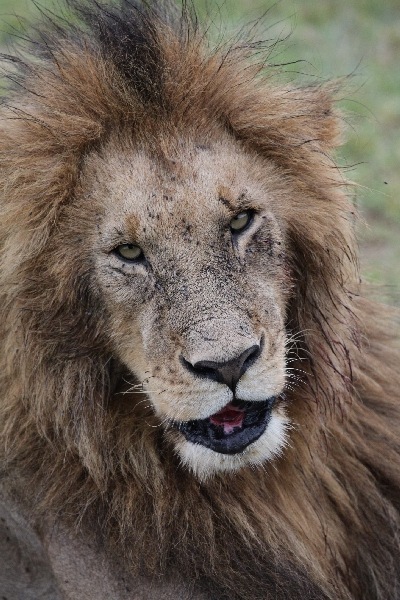 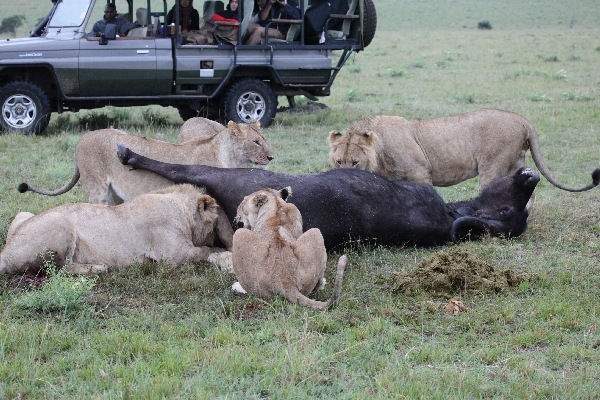 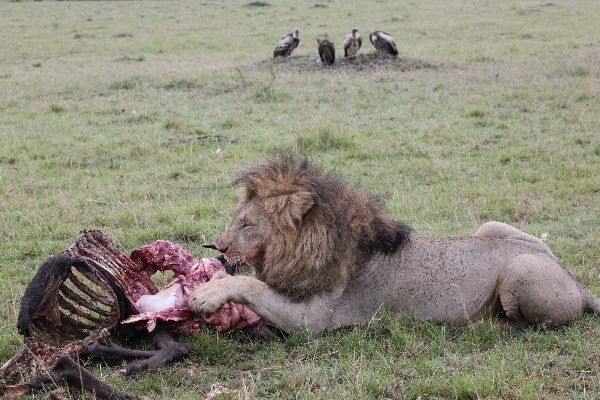 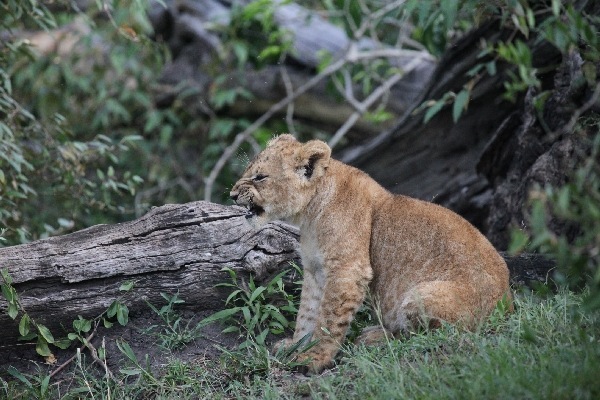 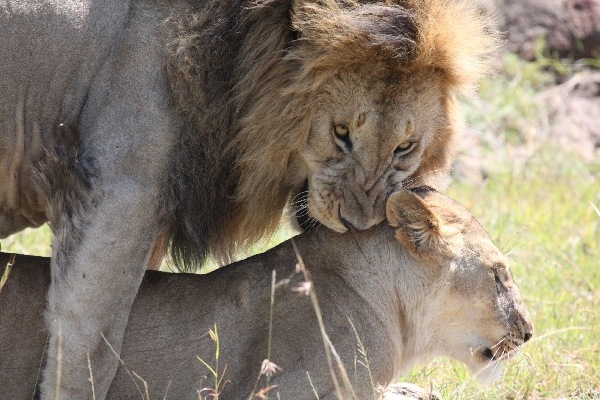 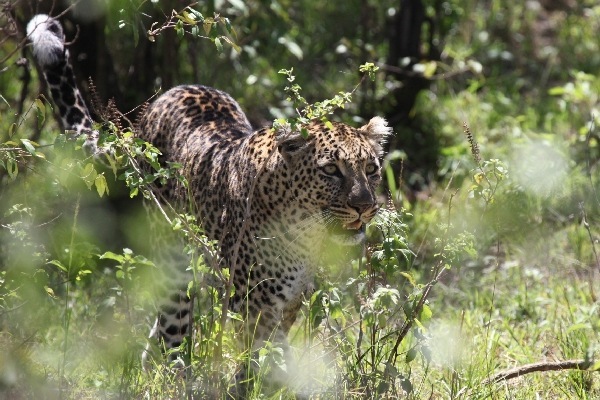 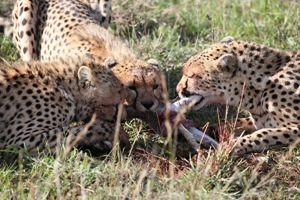 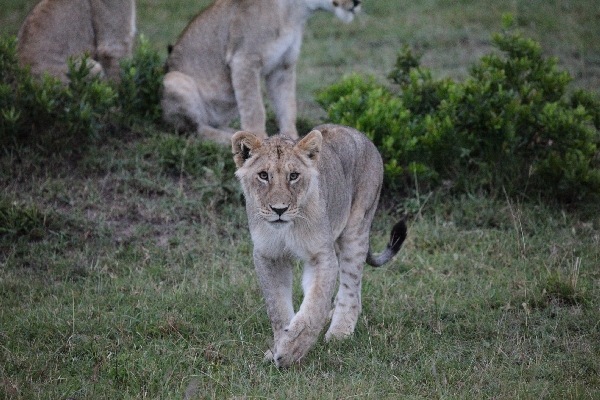 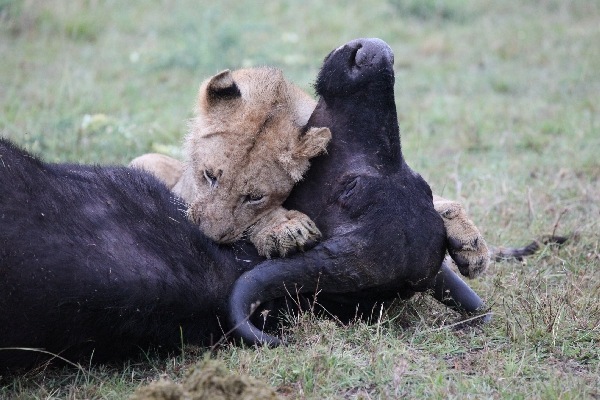 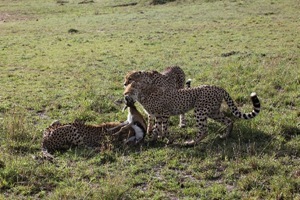 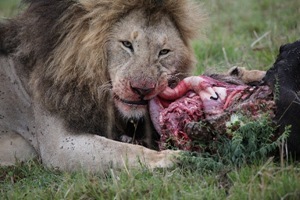 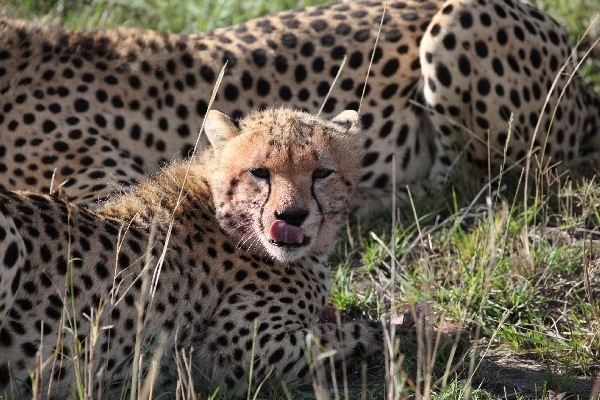 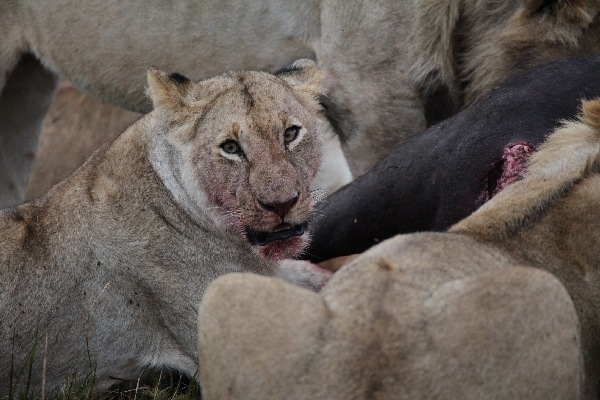 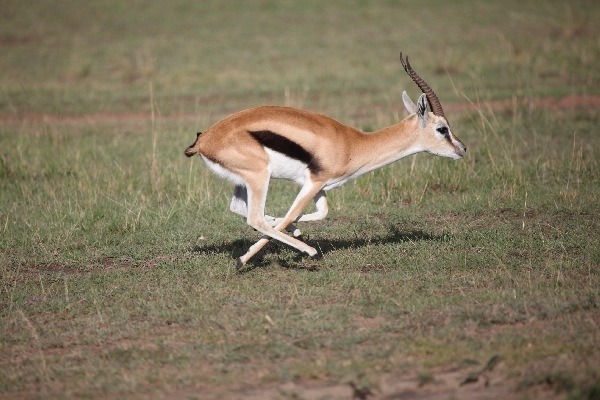 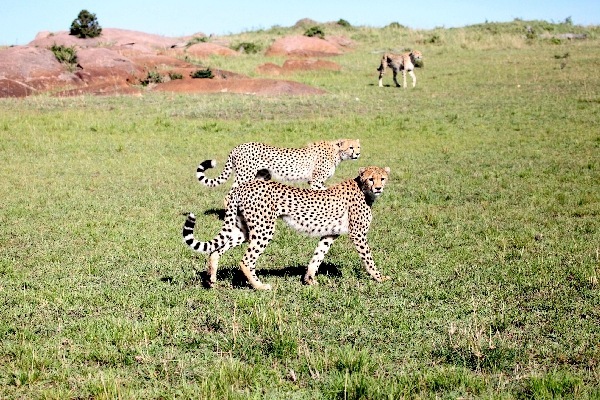 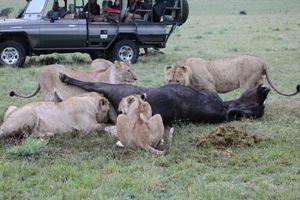 There was plenty of game in the Mara, and we had never seen so many cats – leopards, lions, cheetah! We saw a couple of lions just as they had finished mating. 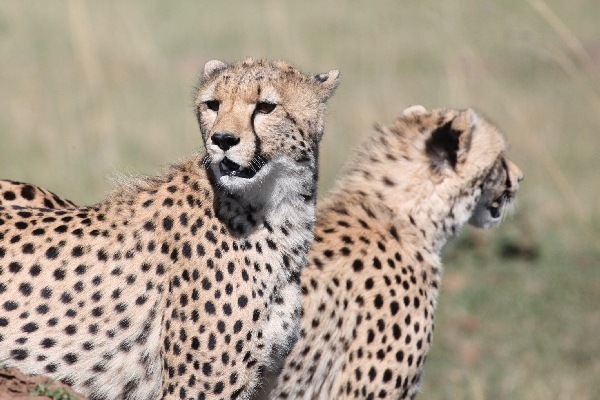 “What a shame we weren’t here a few minutes ago.” “Don’t worry,” William said, “they’ll start again soon.” And they did, again and again, every 20 minutes or so for the next few hours. 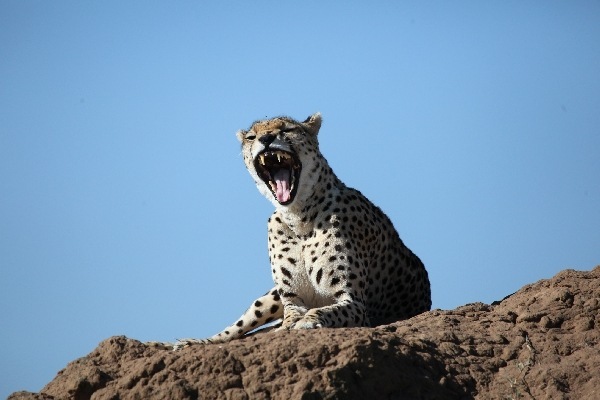 But blink and you’ll miss it as it only lasts a few seconds each time! 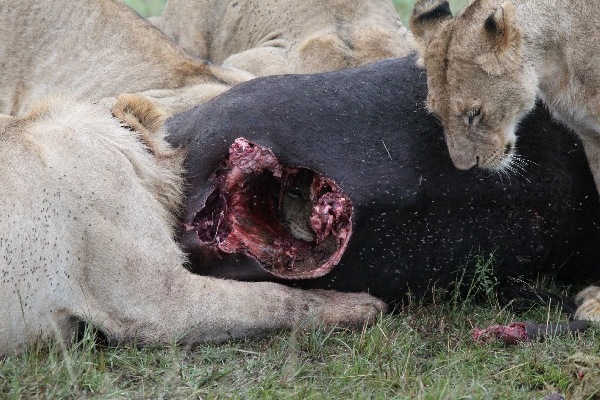 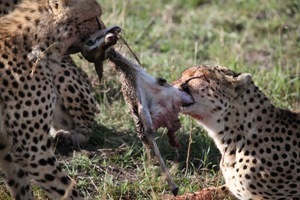 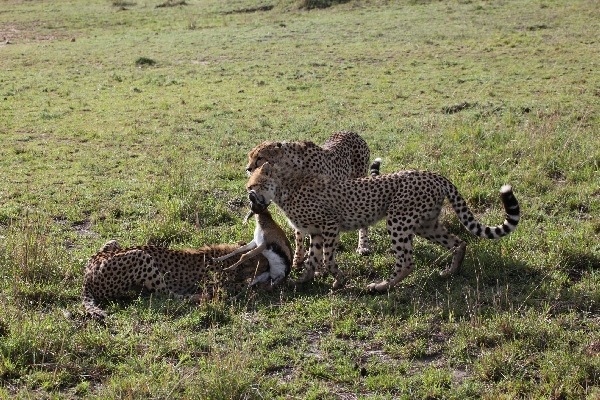 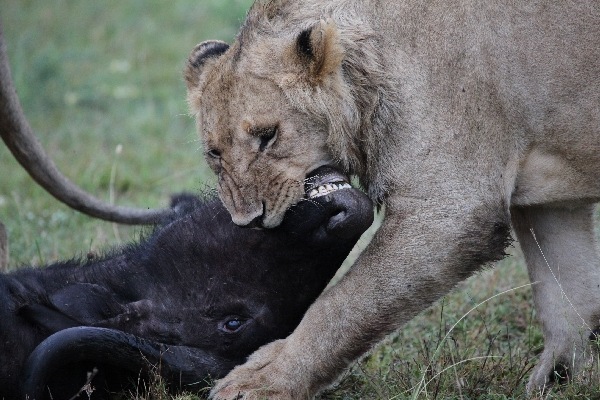 Those of a nervous disposition may want to skip to the next post as we saw two young cheetahs bring down a baby Thompson’s gazelle, and a buffalo being eaten by 13 lions! 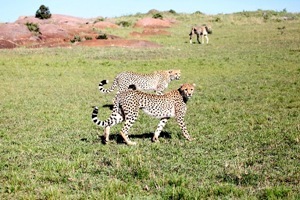 What a privilege to watch these amazing wild animals at such proximity.